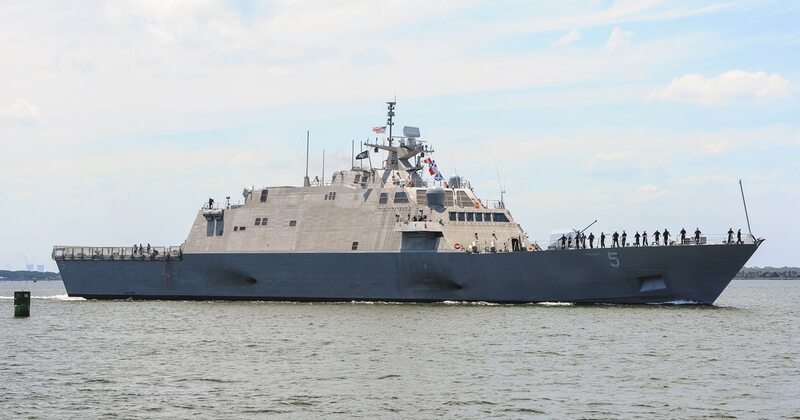 WASHINGTON — The U.S. Navy's requirements for a new guided-missile frigate hit the street Monday with a request for information that blew the competition for the new ship design wide open. The ship will be expected to use systems already widely in use in the fleet, be able to keep up with the carrier and network into the strike group. The Navy hopes to drive the cost down by using common equipment, saving money on integration of new systems into existing designs, and that could be anything from the two littoral combat ship designs in production today to a foreign design such as the British Royal Navy's Type 26 global combat ship. Defense News got an exclusive interview with Boxall to discuss what the Navy wants from its future small surface combatant, that it hopes to start buying in 2020. This ship seems like quite a departure from the LCS. What was the thinking that went into that? Conceptually it's a little bit different of a ship. We took the good things that we like about LCS and we improved on the other things that it needed. One of the reasons we are where we are with LCS is the initial front-end direction. What we did with this effort is to say "OK, let’s go really look at this environment we're in, let's see what the world looks like right now." You've seen the proliferation of missiles to just about everybody; we've got to make sure that these ships can fit into a future distributed maritime operations and be a contributor to that wider network of systems. And to do that you need some commonalities. There is a big move afoot to get more common systems and to think about these things on the front end. So, the RFI is just that: it's a request for information. You look on there and say: "Oh wow, this looks like a lot of things you'd like to have on a Navy ship." And that's true, but the other question is "Can we afford them all?" What we did in the requirements evaluation team was go in and say "OK, we think this is what we need this ship to do." The more we can get it to do, the better, but the cost could be really high. So this RFI is to have that dialogue with industry that we've not done well. Obviously we want to get the most capability for the best price. This is an effort to get the design right up front. This started out as an FF and is now an FFG, what changed? This is not new thinking but the idea was if you could make them a bit more survivable and you can use them a little bit more independently, they become a force multiplier. If you operate these ships in a contested environment as part of distributed maritime operations with the capabilities on there that match the other ships out there, to me that's really what's changed. We don't want the ship to be so big that it competes with the destroyer. We want this to be part of the high/low mix. So ensuring we get those capabilities at the best value is important. So we're going to put some missiles on there for defense, but how many and how big? That's one of the questions that drives the design of the ship. So we want to know what the impact of our choices would be on those designs. 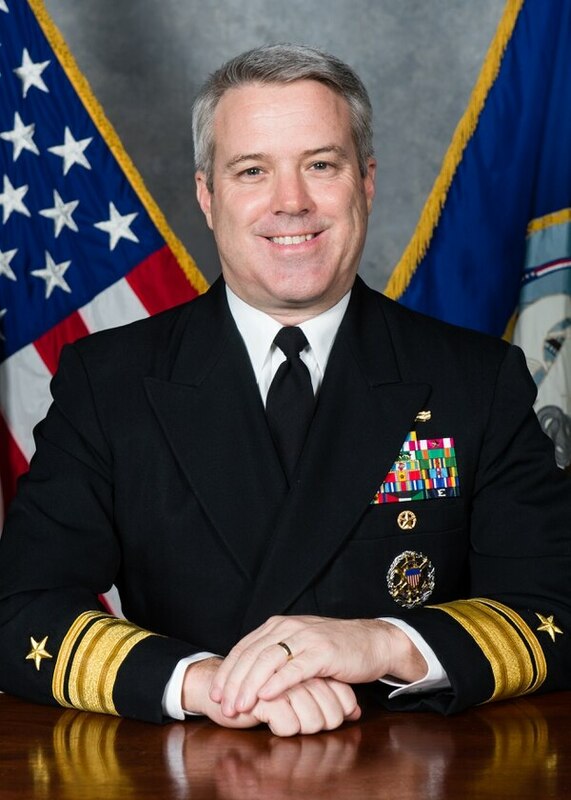 Rear Adm. Ronald Boxall is the U.S. Navy's director of surface warfare. The other part we have to consider is future growth. The LCS – we built those out with the extra space we reserved for the modular capabilities, but it limits the space we have for future growth where we have to do it in the modules themselves. With these ships, if we're going to a future that includes, perhaps, directed energy or increased power applications for other military use, we want to put more margin in there. So ... do we need to have a bigger power plant to be able to accommodate that? Where do we need to make the trades down the road between the size of the power plant and the number of missiles we need to defend the ship? So we know kind of the range of things we're looking for, and then we want to see what industry comes back with. From there we'll lock it down and go into the detailed design and construction phase and we can get this thing out by 2020. What kind of radar are you looking to put on there? Are you looking at a SPY-6 radar? The answer to that is absolutely not. We are not putting something the size of the SPY-6 on this ship. But the key element of the SPY-6 radar are these radar modular assemblies. They are these two-foot-by-two-foot cubes that you build. On an AEGIS destroyer, you'll have 37 of those RMAs on one of four of those faces. So on this ship we are looking at something more like a three-by-three, so four six-foot-by-six foot arrays. Is it going to be as powerful? No. Will it be able to connect virtually identically? [Yes]. Any changes we make to the big ship will work on the small ship. The combat system changes we make on the big ship will work on the small ship. Those are the things that I call spending in the right direction. These commonalities make a difference. They make a difference in training, they make a difference in sparing. If you have a radar technician, they can fix the radar on both ships. So you are set on a fixed and not a rotating. There is a lot of goodness in using the kind of fixed array that we use on the other ships. And as we move forward on future ship designs we are going to continue to use this concept for things that we build with radars to the extent it makes economic sense. Will the ship be using the AEGIS combat system? Any system we put on this ship, because it has a common radar and weapons systems that we already own and know – every time we have something that we already use and know how it works, we don't have to pay an additional integration cost. And as we upgrade these systems more and more by software, they become seamless between other systems that also use that [combat system]. One of the things we looked at was making sure we got that commonality right up front. Do you have a sense of where you want the price range to be? Somewhere between, say $600 million and $1.2 billion? I'd say you're in the ballpark there. This ship will give multi-mission capability, independently operating. So look at that from a cost perspective. What we want with this RFI, industry should come back and say: "Well if you want that, its going to cost this." We're going to refine costs as we know more about what we're getting for that cost. We're not going to lock ourselves in but what we're doing here is giving an industry a look at what we think is most important. What's most important is the commonality element. If we are going to be quicker in out ability to produce capability, we've got to be more responsive to what industry says they can do. Historically we would create a hard requirement, throw that to the acquisitions side, they would achieve that requirement at all costs and then they'd come back to us with the cost and we'd go: "Holy cow, that's how much that costs?" We know we could get ships to do all kinds of things, but you can also go broke doing it. So having that give-and-take at the front end, then going into the design phase and locking it down prior to contracting, we believe is the way to get there faster and get a better value. The crewing is different on this ship, it has the upper limit set at 200. Obviously that factors into long-term ownership costs. It is a departure, however, from the ideas that drove the design work for LCS. This is much more a traditional frigate manning construct. Manning is a unique one. When we looked at moving to an open competition, we looked at many existing designs. So our purpose in putting the number out there is we didn't want to exclude anybody. I believe that number is high. When we get to a request for proposal later, we are going to value those inputs. When we go out to industry: If you have fewer people that do the same thing, you are going to be advantaged by that. So you are going to be incentivized to keep the manning low. You are going to be incentivized to keep the cost low. You are going to be incentivized to get the most value per capability. So that is a merely the starting point of the manning discussion. If you have something so big that its going to be more than 200 people, we are not interested at all. If we are going to have these dialogues, you can't get sticker shock. The things we have on there are the desired capabilities and we want to know what that does to your design. We may come back and say, well we can't get this on there, or, wow, we're going to get even more than we thought. This is new-world territory for us but I think it’s the right direction. The chief of naval operations and the secretary of the navy have been very keen on getting industry involvement here early. Don't take the RFI for what the ship will be down the road but as we move on, hopefully you can tell a bit about what we are valuing. How long do you expect to keep the RFI open? I'd say on the order of months, but this is just to get the first waves. Our first part of this is to find those parent designs that want to play. On the RFI, you make it clear that you want the ship to be able to keep up with the carrier. How does that affect the mechanical and propulsion systems you are looking at? Are you talking about a very traditional twin or single screw ship with an LM-2500 engine? Welcome to the RFI. This is exactly the kind of thing I’m trying to find out. I do not want to tell four or five or however many ship designers what we need their plant to do. What I’m telling you and what we put in here is what we would like the ship to do. If changing the plant design is going to cause a radical departure, but you can do everything else? OK, lets talk about that. But this is exactly what we’re trying to determine. Somewhere along the line if you are trying to get all this capability on the ship, you’ve got to compromise somewhere. We’re not sure where that is yet but certainly the engineering plant is something that is going to matter to some more than others. Having said that, one of things we are willing to give up: The speed that we have with LCS is great, an awesome capability; but the reality is if the ship is going to be doing more of these distributed operations, you pay a premium for that speed with how much stuff you can fit on the ship. There is no draft requirement on this RFI. We had a very limited draft on LCS. But what we’re saying is that we are willing to give up a little of that draft if you are putting more systems on that ship. Everybody, all the designs, are going to have to work a bit to get in this space.